If you’ve been involved in a California defective product case, then you may have grounds for a lawsuit. Personal injury cases can be stressful and expensive. You do not have to shoulder this burden alone. In many situations, you could hold the responsible party liable for your injuries. 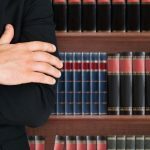 A skilled California product liability attorney can walk you through the process of filing a lawsuit and help you get justice from the liable party. First, it helps to know that there is a time limit to filing a claim. If you have been injured, then you should seek legal action immediately. This will give you the best chance of a favorable outcome in your lawsuit. California statute of limitations states that consumers have 2 years in most cases to file their claim in the wake of an incident. Now that you know how long you have to file suit, you should know who can be held responsible. In the state of California, there are multiple parties that may be deemed accountable for their actions. The party does not need to be negligent in order for you to sue. The actions that made the product dangerous or harmful might not even be intentional, but the party still has an obligation to release safe products into the public. You may think that only the manufacturer of the product can be sued. While it’s true that the manufacturer may be found at fault, this is not the only party that can be accused in a lawsuit. The retailer or supplier of the product could also be held responsible. 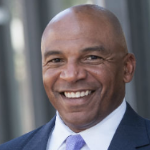 Most companies in the supply chain can potentially be held responsible. This is all based on your individual case. How Can Different Parties Be Liable? Design Defects: A defectively designed product will fail to perform in a safe way that a consumer should reasonably expect. The benefits of the product design do not outweigh the dangers or risks in this type of situation. It must be proven that the product was designed dangerously, even if it was made correctly under the manufacturer’s specs. Manufacturing Defects: Manufacturing defects occur when the product is not produced to the manufacturer’s specs or design. If you decide to sue the manufacturer in such cases, you will not be required to prove that negligence occurred in making the item. 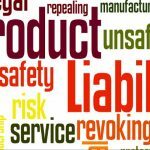 Warning Defects: If manufacturers, sellers, or distributors fail to properly warn consumers of product dangers then you could have grounds for a lawsuit against them. They must warn consumers of the harm of product misuse. Contact an attorney if you think the product that injured you was missing a proper warning. They can help you determine the liable party in such a scenario. 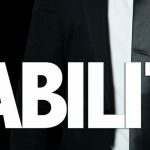 If you think that any of these types of liability cases apply to your injury, then you might be able to sue for your damages. 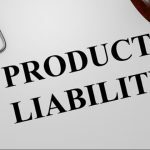 A California product liability attorney can help you determine the responsible party, prove fault, and hold them accountable in a lawsuit.